Woodford Reserve Bourbon is the best bourbon whiskey for new enthusiasts. It’s easy to please and a year-round sipper. A must for every bourbon collection! 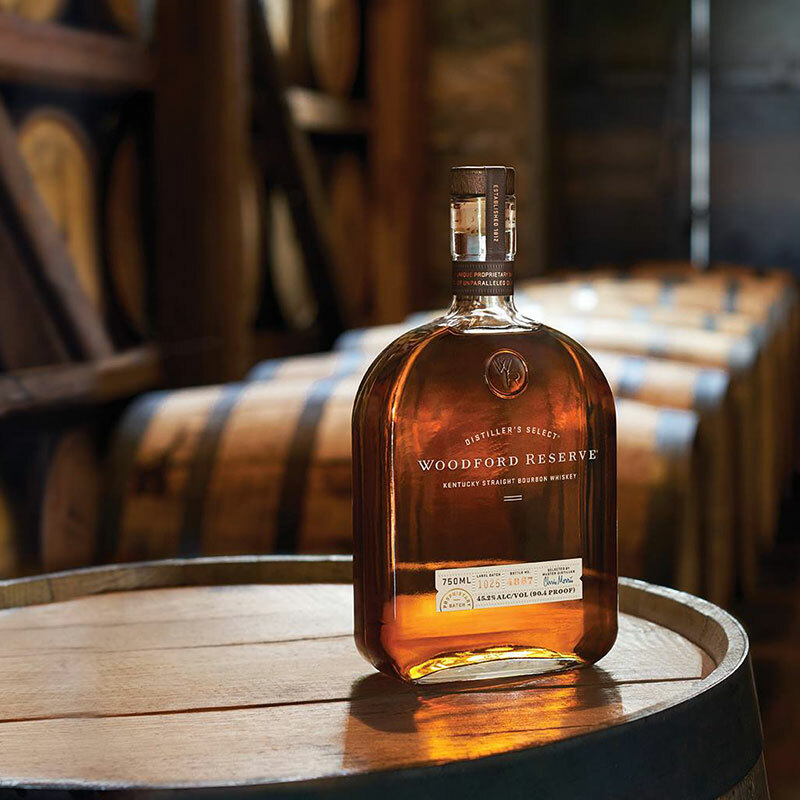 If you haven’t tasted Woodford Reserve Bourbon yet, you have been hiding under a rock. In my experience as a bartender, this whiskey is oftentimes a bourbon drinker’s introduction to the world of America’s Spirit. Our distillery site is on its 4th name over 200 years of distilling activity. From 1812 until 1838 it was the Elijah Pepper farm, grist mill and distillery, one of thousands like it scattered over Kentucky. Pepper’s son, Oscar, built our current distillery building in 1838 and named it after himself, The Old Oscar Pepper Distillery. His son, James, sold the operation to Labrot & Graham in 1878. It operated on and off under that name for 126 years. We know that all bourbons are created from the same six sources of flavor. What makes Woodford Reserve different is the way that Master Distiller Chris Morris expresses each of those flavors. It is rumored that Woodford is crafted with more than 70 different flavor variables taken into consideration. Lets start with the nose: The first thing that I notice is how reserved Woodford is (see what I did there?) The nose takes some time to come forth, but when it does you know you have a nice whiskey in your glass. The expected oak and rye are there, along with fruity new-make: green apples, green pears, and banana. The sugar and spice shop is there as well – caramel, vanilla, and cinnamon. The mash bill for Woodford Reserve features a high percentage of rye: 72% corn, 18% rye and 10% malt. This is evident in the first sip, when the fruit nose and spice intermingle in a warm and flavorful whiskey. Mid way through, I get mixed fruit jam and the cinnamon that I picked up in the nose. Woodford is only 90 proof – not hot at all. In fact, the burn barely registers at first sip. Could be because Woodford Reserve is triple distilled and has the lowest proof upon entering the barrel where it matures for at least six years. The finish is the only downside to Woodford Reserve. If you know me, you know I like a pleasant finish that lasts. That’s what separates A- bourbons from A+ bourbons in my book. The combination of low proof and triple distilled and aged mellow leaves the finish light, tingly, and mildly metallic. Woodford Reserve is a proper introduction to bourbon for new drinkers, and is a great old standby for daily sippers or neighbor visits. Experienced bourbonites will look for (and miss) the strong personality that some other ‘A grade’ bourbons possess, but that doesn’t discount the quality of the bourbon. For that, we give Woodford Reserve an B+. Learn about how we grade bourbons. The ONLY reason that Woodford Reserve scores a B is that it lacks character in its finish. This is purely subjective, but I like bourbons that have features that stand out. Woodford is tasty. Woodford is smooth. Woodford is made to please. I cant see anyone going wrong with picking up a bottle or two! The Woodford Reserve price is around $39 for a fifth in most places, so you should be able to indulge on a budget. Get Woodford Reserve delivered to your home or office. I too am on a quest to try all Bourbons this year, and ironically all hamburgers. Let me say, I just did Russell’s Reserve small batch and Woodfords reserve. Both great spirits, but probably a B+ in my books. Please review four roses single barrel, that is my high bar so far. It really has a complex flavor, spicy, sweet, citrus, and an oak finish. Russels and Woodfords do their notes exceptionally well, but four roses really contains it all. Stay away from the non-single barrel Four Roses, it’s really bad. Night and day. Its funny that you say that, I was just sipping Four Roses last night. Review on the way! I am really proud of what Jim Rutledge has done for the Four Roses brand, and I would agree that in many ways it sets the standard. I can remember when Four Roses was the rot gut of the whiskey world. How times have changed! That’s awesome! I’m glad we agree. The quality drop off from the single barrel to the yellow is pretty dramatic, so they have a ways to go, IMHO. But the single barrel and single barrel limited are probably some of the best spirits I’ve ever tasted. But for now I will suffer through the rest of my Russel’s Reserve bottle, and dream of better days. In hindsight, I can’t believe I spent so much money, time, and effort on Rum, Vodka, and Gin. I mean, good straight bourbon doesn’t need anything, and it is delicious. Thanks for the blog and getting the word out, I’ll try and buy another bottle and convert more friends. It’s strange that only a select few people I know, comb the liquor stores for Four Roses small batch or the precious limited. Good luck, I’ll keep reading, maybe you’ll find another diamond in the rough before me. 1st time trier, last time buyer. Tastes like black velvet in an expensive bottle. I find this stuff to be all over the place. The first bottle I tried was going to make me swear off all other bourbons. The second one made me wonder what the heck I was thinking. This had led me to purchase this in 50 ml bottles only and I find those to be all over the place as well, but at least if I get a bad 50 ml bottle I’m only out a couple bucks, not $40. The first Bourban I tried was Woodsford Reserve. I liked it so much, I never tried any others. Too me it is perfect. Been drinking it about 5 years.